The New England Patriots have dominated the AFC for almost two decades. In that timeframe, every team in the conference has looked to improve enough in the offseason to be good enough to take down the Patriots the following season. Sometimes it has actually worked, but then the Patriots make a few changes and regain the throne the following season. With the draft over and the best free agents signed with new teams, teams have improved as much as they are going to improve barring any surprise trades. Some made more changes than others. Some will win more than they did last year and some will not. But did anyone change enough to take down the Patriots? Fans will have to wait and see. 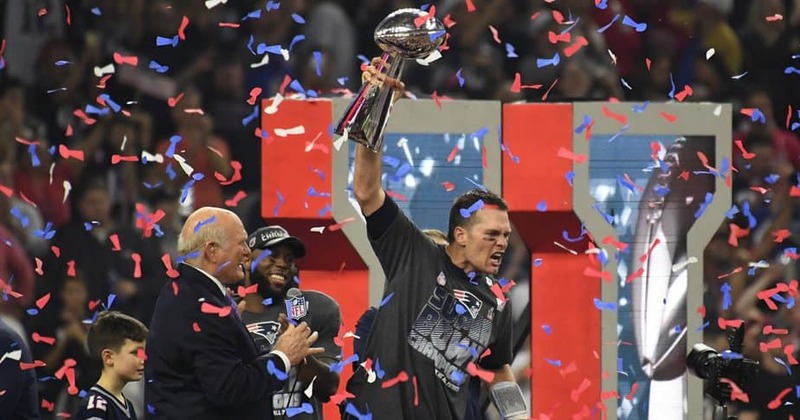 New England Patriots—11 (14): Eleven? Really Vegas? For the last seven years, they haven’t won fewer than 12. They still have Tom Brady. Bill Belichick is still in charge. There is not a single reason to think the Patriots will be any less dominant next season as they have been for the last seven. Miami Dolphins—7.5 (10): The Dolphins overachieved last season. Jay Ajayi can be great but seems to do it in spurts. If those spurts can match with Ryan Tannehill’s good days, they can win a few games. Their defense is decent and could be even better if some of the draft picks can contribute early. Winning ten again would be a reach, but eight is entirely possible. Buffalo Bills—6 (7): Was the failure in the passing game last season Tyrod Taylor’s fault or a lack of healthy, talented receivers? Sammy Watkins has proven himself to be unreliable, but maybe he’ll improve his game with another talented receiver in the lineup (rookie Zay Jones). Should the passing game improve, the Bills could win eight. If it doesn’t, look or their win total to be closer to four. New York Jets—5.5 (5): Josh McCown is a decent quarterback. He could put up some good numbers throwing to Eric Decker and rookies ArDarius Stewart and Jordan Leggett. The running game shouldn’t be too bad either. If the safeties they drafted can contribute right away, it is not hard to see the Jets winning six (assuming Josh McCown can get the offense together). 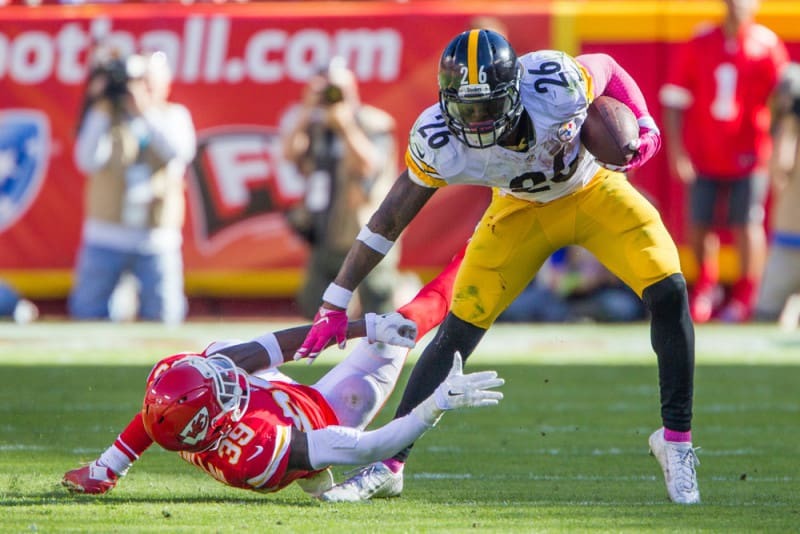 Pittsburgh Steelers—10.5 (11): Pittsburgh’s biggest issue has been health. They can’t seem to keep Big Ben or Le’Veon Bell completely healthy for an entire season. They got some more offensive firepower in the draft in James Conner and JuJu Smith-Schuster and picked up some key defenders as well. But their whole season will rest on Big Ben’s health. If he can play all 16 games, they can easily win 12; if he doesn’t—nine or ten. Baltimore Ravens—9.5 (8): The Ravens should never have won eight games last season with such a one-dimensional offense. But with a little help from their defense, they managed to win six games by a touchdown or less (but also lost six by a touchdown or less). The defense should be even better next season, but the offense will be one-dimensional again (still no running game). Expecting the Ravens to win so many close ones again is unrealistic. Expecting them to win more than nine is nuts. Six is more like it. Cincinnati Bengals—8.5 (6): As much as some fans will hate it, Joe Mixon is going to be a big part of the Bengals offense next season. He is a human wrecking ball and will give the Bengals a running game to be feared. The addition of speedster John Ross should help out tremendously in the passing game. The lack of a running attack hurt last season. If the Bengals had one down the stretch, they might have won each of the five games they lost by five points or less. Mixon will help the Bengals win games. Look for Cincy to win 10. Cleveland Browns—4 (1): It would be easy to say these guys should win at least four games next season, but let’s be real—they were terrible last season. They have so many holes in the roster they could change their name to the Cleveland Swiss Cheese. They are going to be better and much more competitive but with the offense is going to be garbage again. They will not win four games; too many holes in the roster. Two, maybe three games if Myles Garrett can live up to the hype, but four—not a chance. 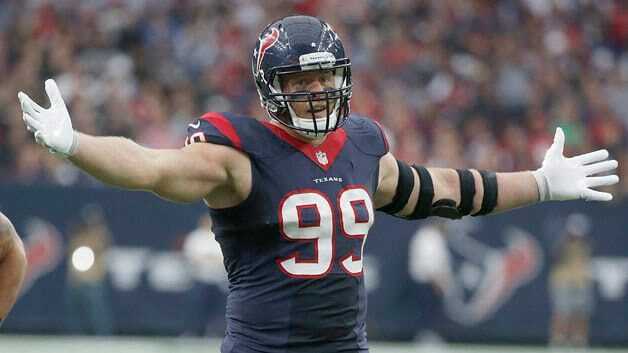 Houston Texans—8.5 (9): The Houston defense will make sure they are in most of their games next season and will be why they win many of them. But the offense should be a lot better without Osweiler. Don’t be shocked if D’Onta Foreman plays a bigger role in the offense than Lamar Miller. If Tom Savage starts, they’ll likely win nine games again. If Watson starts, don’t be shocked if they win 12. Tennessee Titans—9.5 (9): The Titans could be a lot of fun to watch next season. Marcus Mariota played well last season and could look even better this year if he can get on the same page with his new targets early in the season. Their pass defense was horrible last season. Adoree Jackson may not be enough to fix it. The offense should be much more explosive this season, but the defense is still a question mark. Ten wins are possible, but seven may be a safer bet. Indianapolis Colts—9 (8): Everyone loves Andrew Luck, and because of him many people expect great things from the Colts. But their defense is not very good, their offensive line is sub-par, and Frank Gore needs to retire. The defense should be better this season, but the offensive line is still sub-par. Andrew Luck is good, but he is not as good as most people think he is. With the improvements the rest of the division made, the Colts will be lucky to win eight games again. Jacksonville Jaguars—5.5 (3): It is hard not to feel sorry for these guys. They draft well. They do well in free agency and yet they still stink. Leonard Fournette could make them a little more interesting to watch this season. If he can stay healthy and live up to the hype, he could even make the passing game better by taking pressure off it. Playing in a weak division will them notch a couple of wins. Should the offense improve with Fournette and the defense not skip a beat from last season (No. 6 overall), the Jags could win eight. 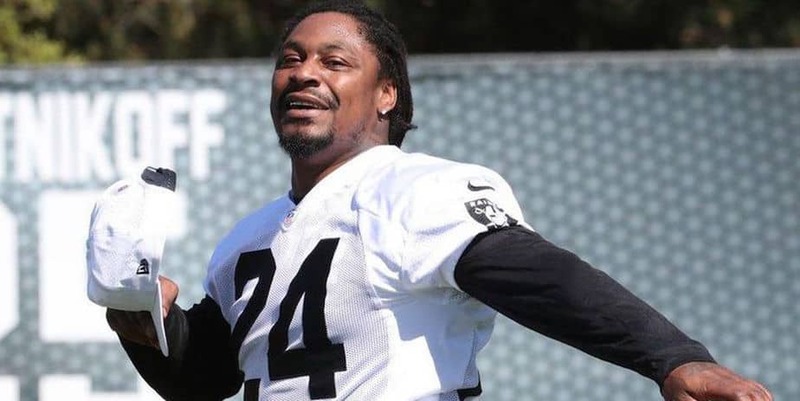 Oakland Raiders— 9.5 (12): The playoff game proved what man already knew—the Raiders will go as far as Derek Carr can take them. Between Marshawn Lynch and Elijah Hood, they should have a pretty good running game to compliment the passing attack. The additions they made to the defense via the draft should make an early impact. The defense is inconsistent, but the offense will be good enough to cover for many of the times they have an off day. Another 12-win season may be pushing it, but ten or eleven is entirely possible. Kansas City Chiefs—9 (12): Alex Smith is a good—but not great–quarterback. He has good playmakers but is he good enough to get the most out of them? As good as their season was last year, it could have very easily gone the other way. Seven of their 12 wins were by a touchdown or less. To be fair, three of their losses were by a touchdown or less. The defense is good but not great as is the offense. The Chiefs will probably win nine games, but they will have a hard time matching last season’s success. Denver Broncos—8.5 (9): Trevor Siemian wasn’t bad, but he wasn’t good either. Paxton Lynch looked far from ready when he played. If the Broncos do make a change at QB, don’t be surprised if it is Chad Kelly getting the nod. Much like last season, the defense is going to keep the Broncos in games this season as well. But without a strong playmaker at quarterbacks or a running game (could Jamaal Charles be the key?) they will be lucky to win eight games. Los Angeles Chargers—7.5 (5): The Chargers always have a good passing game, and it will be even better with rookie Mike Williams in the lineup. However, they are going to need Melvin Gordon to step it up a notch to keep teams from focusing on the passing game. They’ll do better than last season’s five wins but don’t expect them to win eight.